Troubleshooting performance problems is always one of the issues database administrators (DBAs) face. Idera SQL Check is a SQL Server performance monitoring tool that can help DBAs find and fix database performance problems. This tool provides real-time information on 20 different performance metrics, including: wait statistics, reads, writes, session details and cache hits. There aren't any agents to install, and SQL Check records key SQL Server heartbeat statistics at customizable intervals. 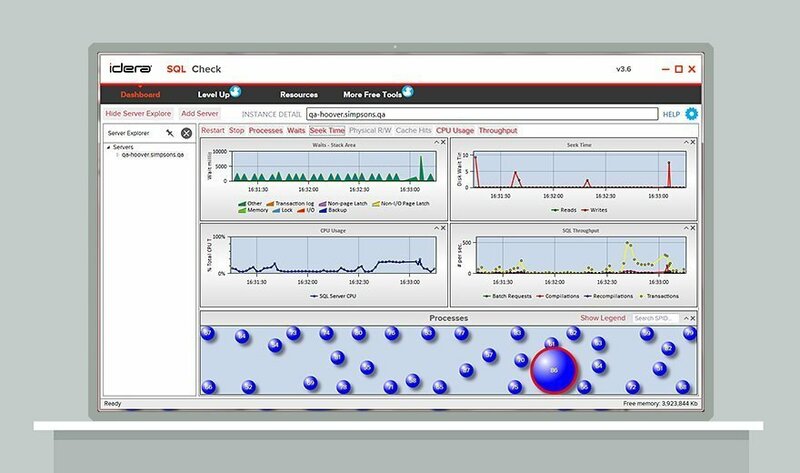 However, unlike Idera's SQL Diagnostic Manager, SQL Check is limited to monitoring a single SQL Server instance. Have you used SQL Check or another SQL Server performance monitoring tool? How did it go?